This is my still life set up. I use a light box when I want to control the light very carefully. This allows me to paint into the evening and after dark without the set up changing and making it impossible to work. The photo shows work in progress on my latest painting which hopefully will be finished later this evening. 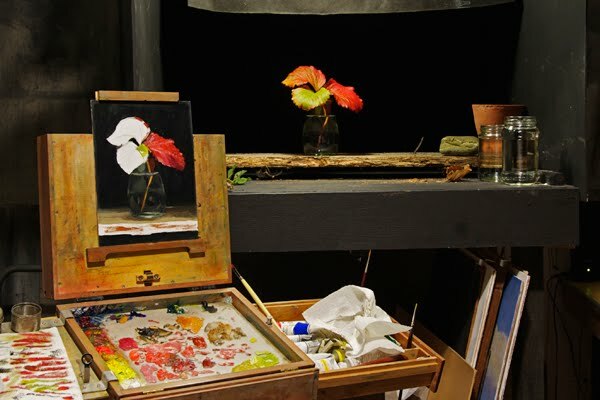 The easel is an amazing pochade made by Ben Hagget of Alla Prima Pochades in the USA.